The new hospitality and events space will open next month in partnership with Lime Venue Portfolio, following a £1m investment. The investment has seen the redesign and refurbishment of a number of spaces within the Trinity Stand, the main stand at Villa Park. The Directors Club can host up to 150 delegates, and has its own open kitchen. The Directors Boardroom provides a space for smaller meetings, private dining, or as a breakout space within The Directors Lounge. 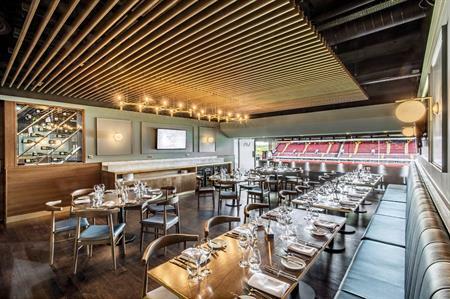 Other refurbishments within the stand include a redesign of the 82 Club, which now has a capacity of up to 250 delegates, as well as a refresh throughout the venue’s meeting and events space.